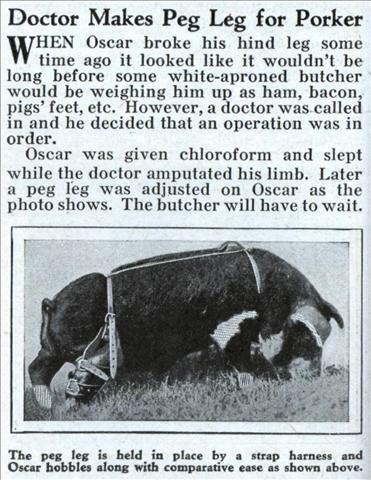 WHEN Oscar broke his hind leg some time ago it looked like it wouldn’t be long before some white-aproned butcher would be weighing him up as ham, bacon, pigs’ feet, etc. However, a doctor was called in and he decided that an operation was in order. 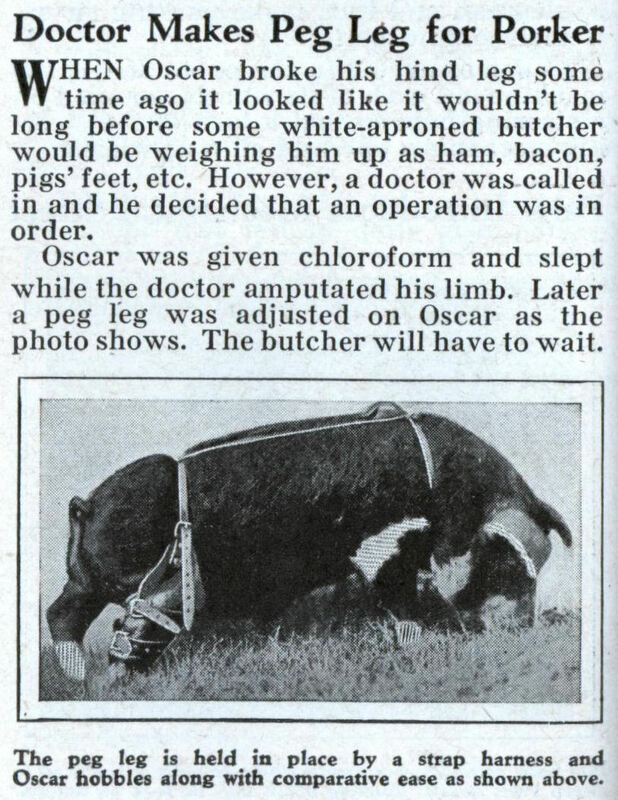 Oscar was given chloroform and slept while the doctor amputated his limb. Later a peg leg was adjusted on Oscar as the photo shows. The butcher will have to wait. 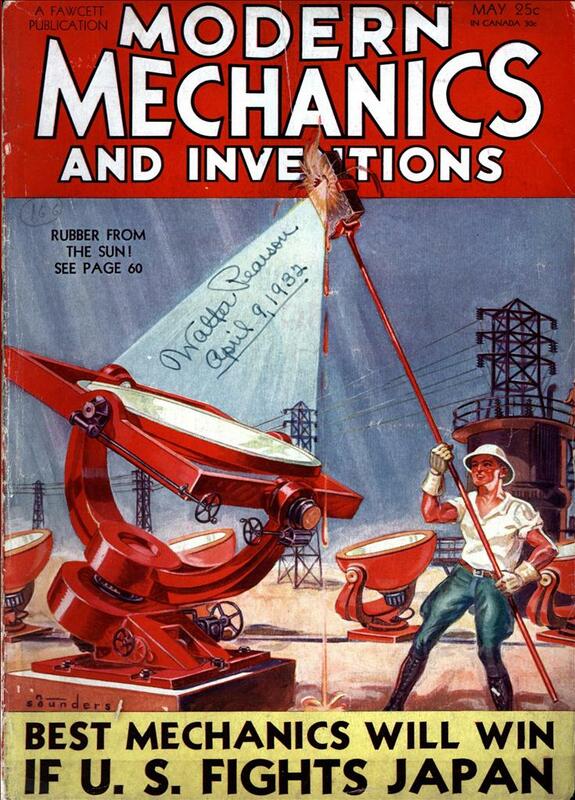 Is this the origin of the old joke? So what did happen to the amputated leg? Simon: I’m guessing a honey glaze. Charlie: Whoops! You gotta start making those comments in a brighter colour or something. Carey – the bepegged pig in your logo is a marvelous graphic, and that ‘modern era’ one in the photos is pretty neat too. Carey – Please feel free to use any images you’d like on your site. I love the logo and I’m going to have to order some white bbq sauce for my dad to try out! Thanks for posting.